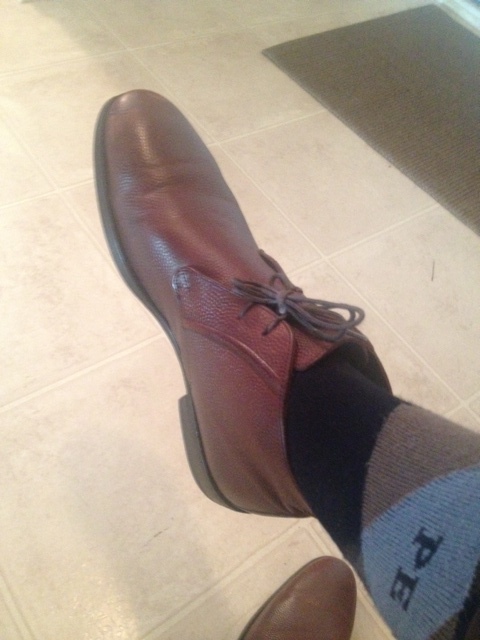 Brown chukka dress boots by Banana Republic. 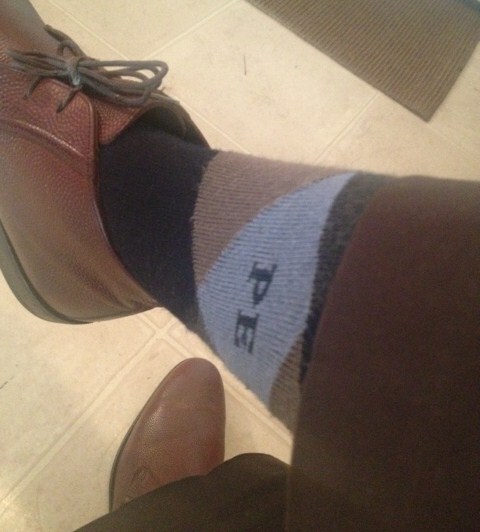 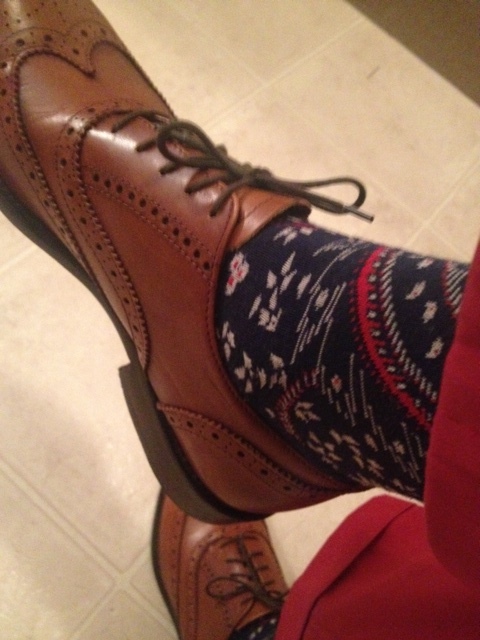 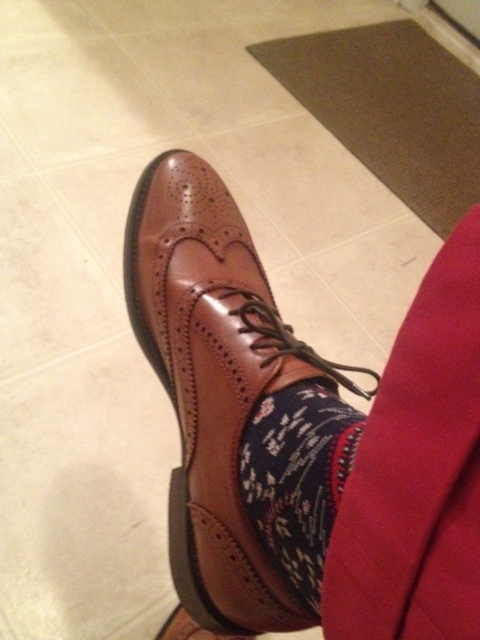 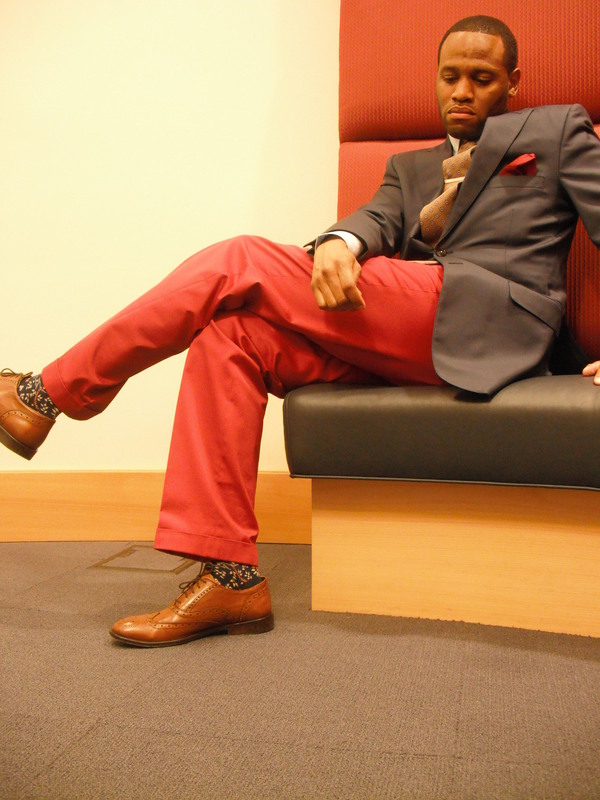 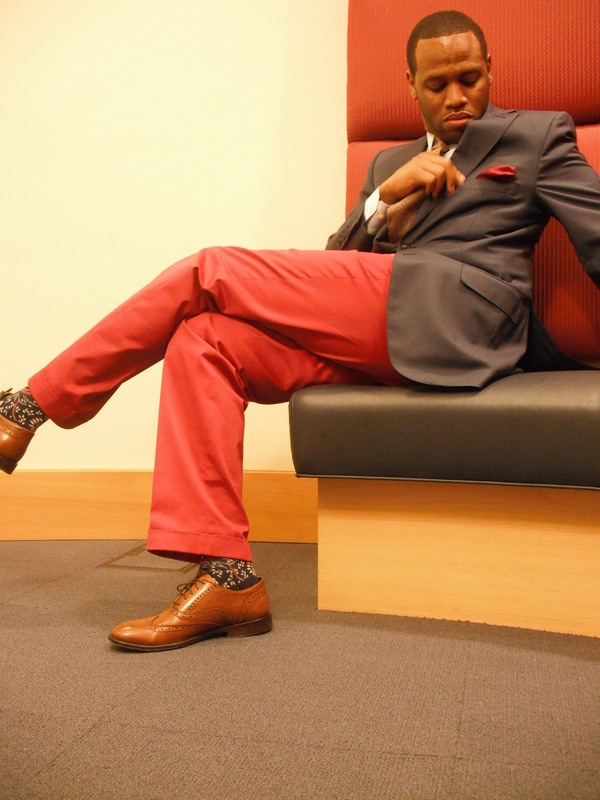 Argyle socks by Perry Ellis. 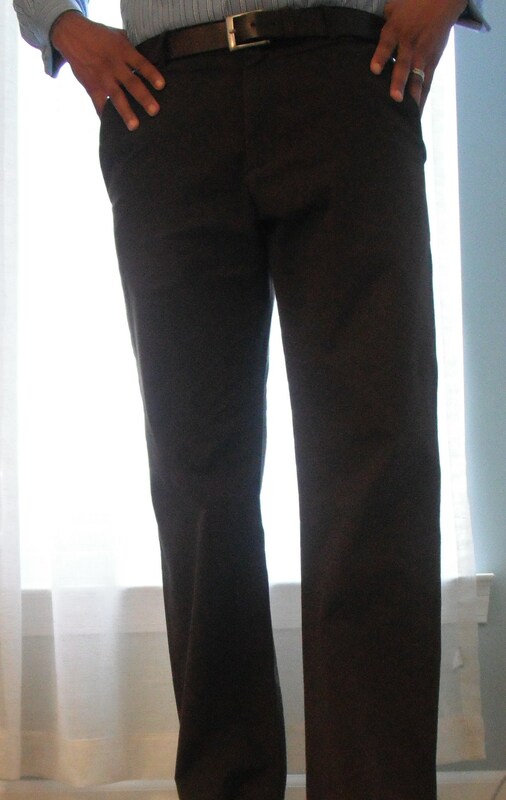 Chocolate flat front trousers by Banana Republic. 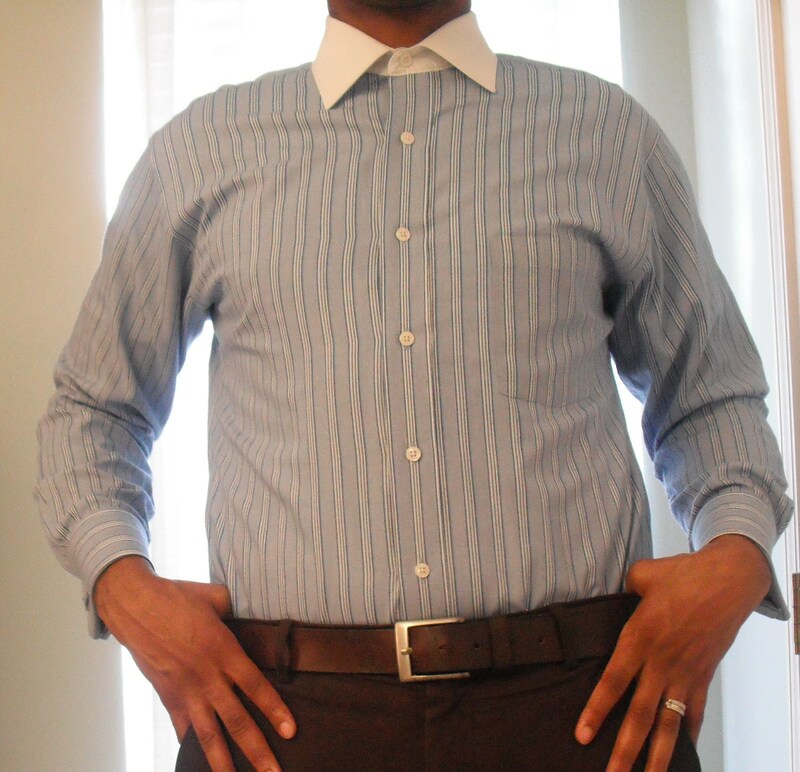 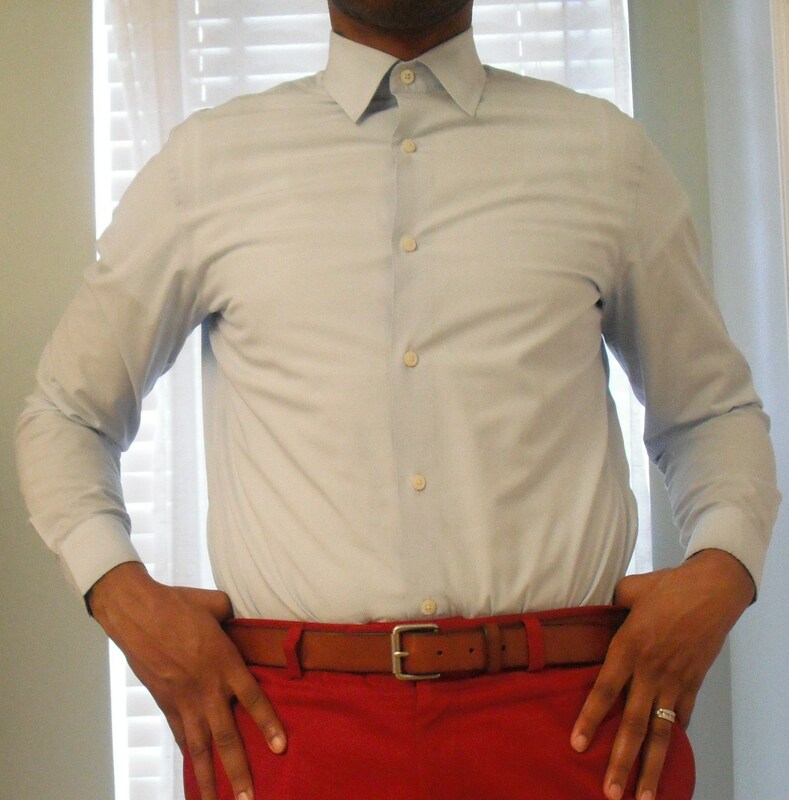 Blue striped french cuff dress shirt with white spread collar is a thrifting find. 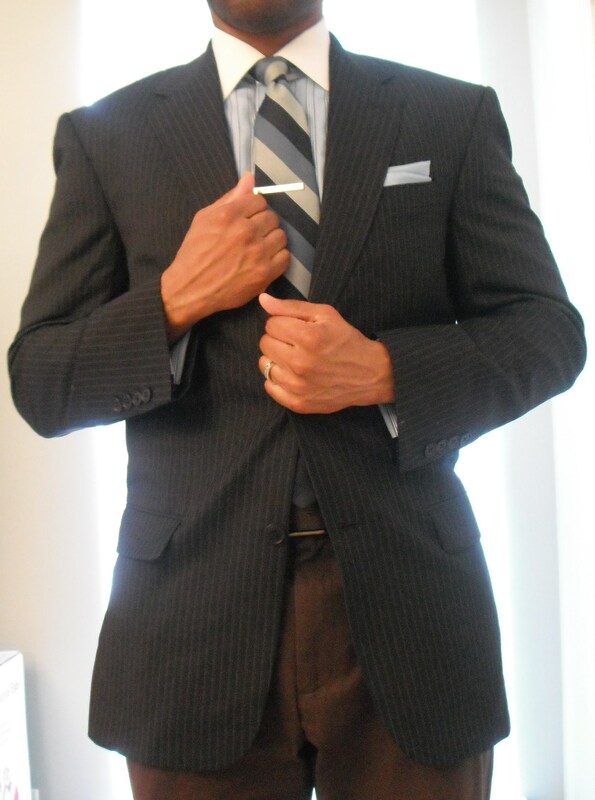 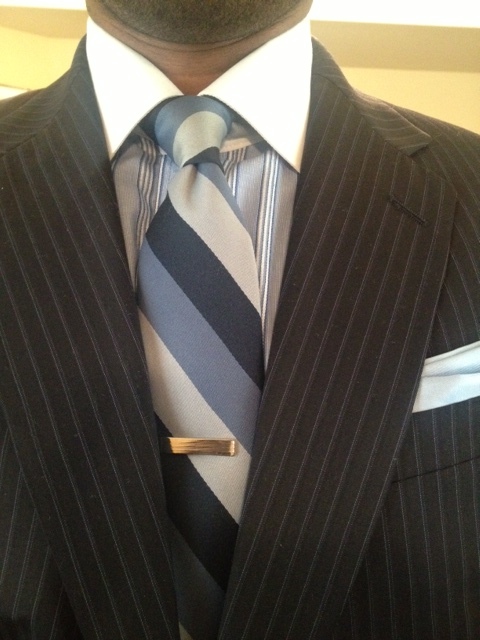 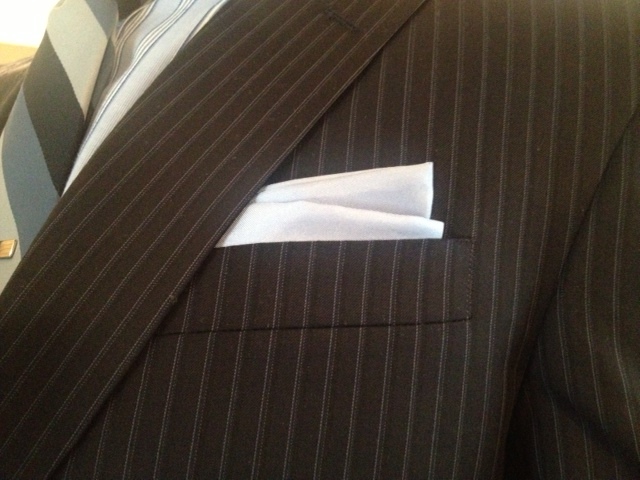 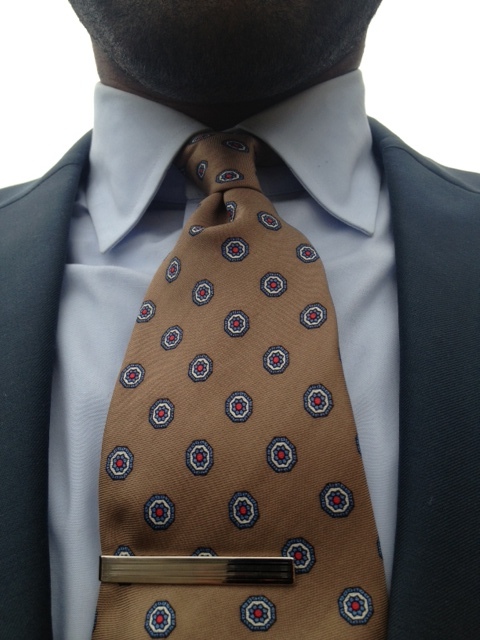 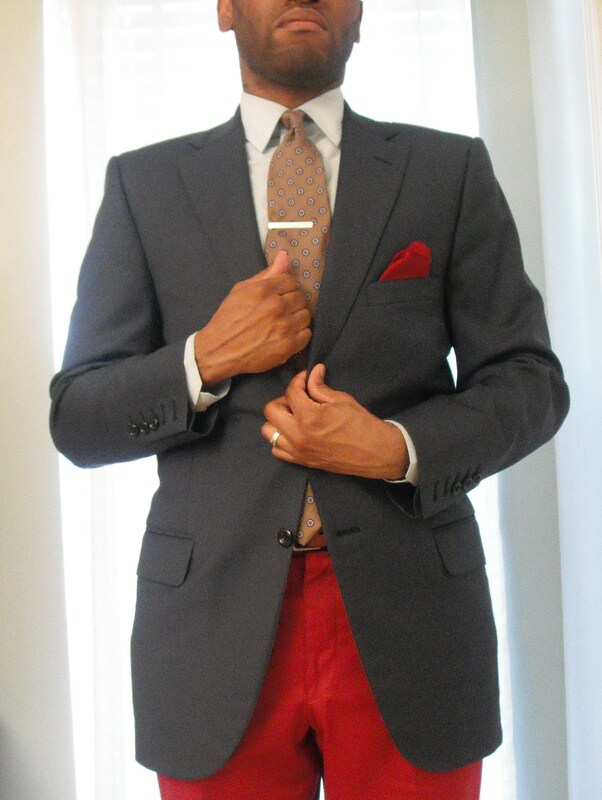 Striped Givenchy necktie is from Design Archives in Greensboro, NC. 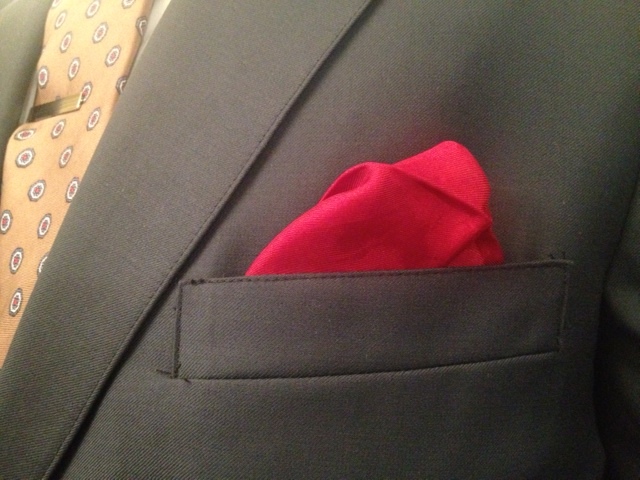 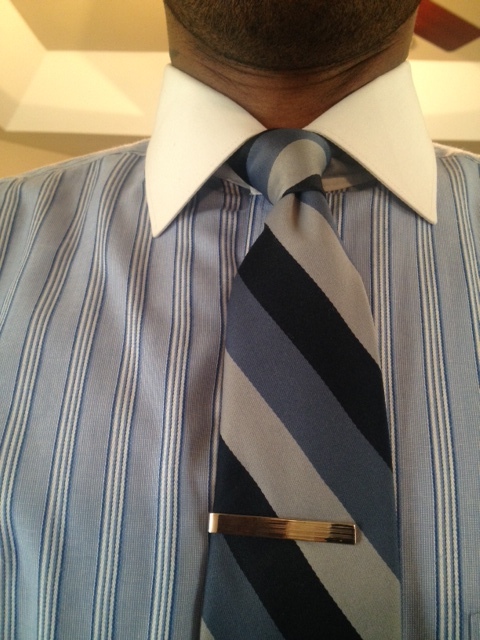 Tie bar by Banana Republic. 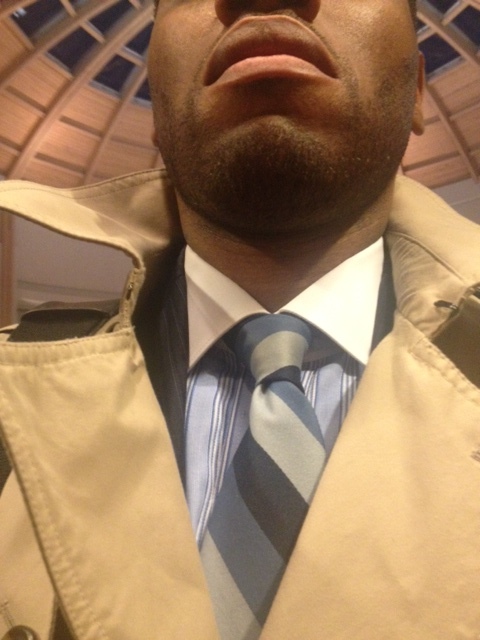 Tan trench coat by Ralph Lauren.